Carla Buckley was born in Washington, DC. After traveling around the world with her parents as a child, including stints in Africa and Thailand, she went on to attend Oberlin College. There, she majored in English/Studio Art/Art History because she loved the arts and dreamed of being a writer. Eventually she went on to earn her MBA from the Wharton School of Business. Yes, she knows that is a detour, but she prefers to call it “well-rounded.” Along the way, she met and married an environmental scientist, and together they’ve raised three children. When he isn’t scaring her with statistics about the world’s depleting water supplies, they listen to crime podcasts on the long drives to visit friends and family across the country. 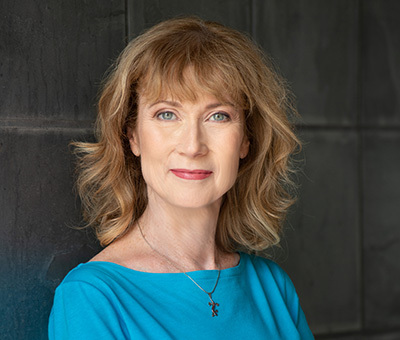 Carla is the author of five psychological suspense novels, including The Things That Keep Us Here, which was nominated for a Thriller Award as a Best First novel and the Ohioana Book Award for fiction. She has taught numerous workshops on novel writing, and served on the board of the International Thriller Writers as Vice President, Awards. Her work has been optioned for film and TV, and published in multiple countries, which she would love to visit one day. Currently, she lives in Chapel Hill, North Carolina, and is at work on her next novel.